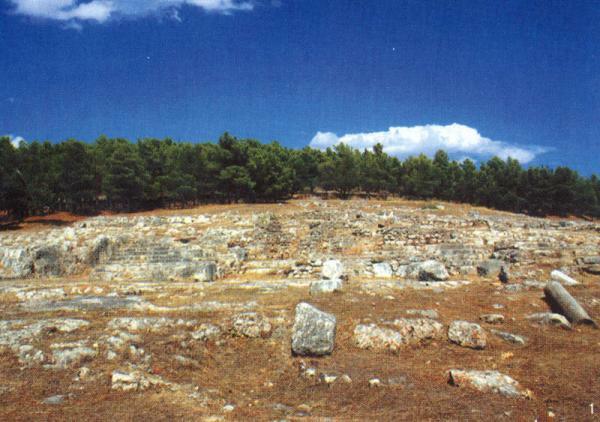 It is situated on the Hill of Aspida or of Phoroneus (as some call it). You may climb on the hill from the eastern part of the city. It took its name after its shield shape (gr. aspida). It was probably a dwelling for the kings of Argos, due to its proximity and easy access to the city. Visitors today can admire remains of the fortification of the city at the spot. There is also an open subterranean street at the Northeastern foot of the hill, which either served as a rain-water tank from the time of Danaos, or was the cellar which, according to Pausanias, sheltered Danae, and which was destroyed by the tyrant Perilaos.